This post is literally over a year in the making. I've wanted to post this before & after for a while but I really didn't want to have to go through a typed tutorial of how to achieve these curls. 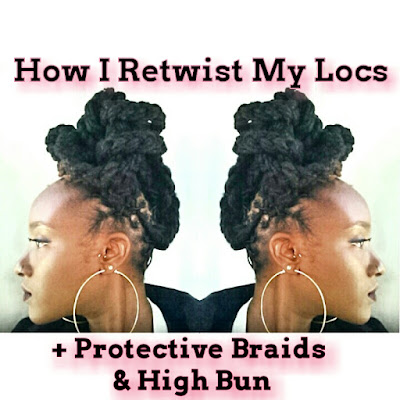 As luck would have it, in the world of Loc styles if you wait long enough the style tutorial is sure to pop up on Chescalocs Youtube eventually. . . and it surely did. She's pretty thorough in the area of showing how diverse locs can be. These pics are from March 2012, before I cut my hair. Coincidentally there is also an unfortunate story attached to the "After" pic about how I almost lost my life hours after snapping that picture. It's a less traumatic story to recount now, but still jarring in that it brought the fragility of life into sudden perspective. I've previously shared the story on my NSFW tumblr. I'll repost here at some other time. On that initial occasion, one loc was used per knot. 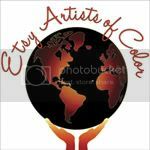 In the pictures above I have any where from 2 - 4 locs wrapped in each knot/pixie twist. As you can see this creates a larger or looser curl than you'd get from 1 loc per knot. 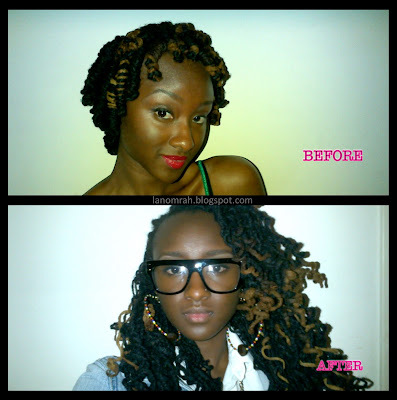 Below are Before & Afters of 1 loc pixie twists which are clearly a tighter/smaller curl with springiness. 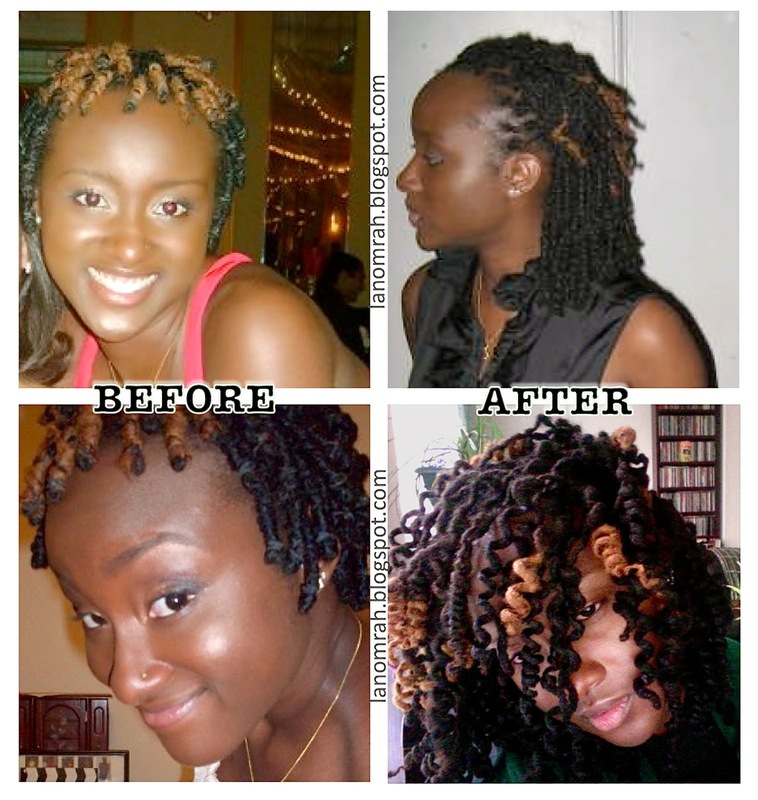 To wear as a style I love the look of the 1 loc twists, for the curls my choice would be twists of 2-4. I love the fullness of the curls resulting from the latter. I also think the inevitable straightness that occurs near the roots blends better with the 2-4/knot curls. For me, 1 loc/knot coils do not blend or transition smoothly enough from root to curl (see pic in top right corner below). Also, 2 -4/knot is so much faster if you are styling yourself. Ain't nobody got time to be doing hair a whole damn day. No ma'am! Have you tried this style? What have your results been like, and which curl do you prefer? Lovely! I do this style for my daughters and always love how it turns out. Oooh yess! Shirley Temple Curls for locs- that must be so cute on them!